Getting behind the wheel is an exciting time in every teenager’s life. They simply cannot wait to hit the road and achieve independence that is moderately new to them. Although it can be exciting, it can also be hazardous and dangerous, not only for the teen but additional drivers as well. Luckily, California online drivers ed is available to help prepare teens to handle the dangers that are associated with driving. In the state of California, it is required that all prospective drivers undergo the completion of a state-approved drivers ed course. They must also pass a written exam to receive a provisional permit too. Students can enroll in the class at the age of 15, but they will not be able to get their hands on a permit until they are 15 1/2. If timing is an issue, you should be aware that teens can get the permit up to the age of 18. The teachings may seem tedious and as a waste of time to teenagers, but that is just not the case. California online drivers ed will teach students everything that they need to know in regards to becoming competent drivers. Pupils will learn the ins and outs of vehicle handling and become confident motorists who know what to do behind the wheel. Is California Online Drivers Ed Better Than A Classroom Couse? There are a few different types of drivers education that one may consider. There is the traditional, tried and true method, which has been around for decades, but it is not always the most popular option out there. After all, kids feel like they spend enough time in classrooms already. With more things going digital all the time, it should come as no surprise that teenagers can complete their requirements with California online drivers ed. One huge benefit that online students receive is the ability to complete their coursework from just about anywhere. Unlike conventional drivers education methods, students are free to learn on their own time and go at their own pace. They aren’t stuck in a stuffy classroom listening to a teacher drag out lessons for hours on end. As a result, they will be more likely to enjoy the coursework and retain information much better since online courses are also very interactive. The ability to learn from a variety of devices is a selling point for many parents. They enjoy the fact that their child can learn from any device that they already have in their possession including laptops, phones, desktops, and even tablets. This is also great as it means that parents will no longer have to shuttle their kids from one location to the next to learn about driving. The commute cut down will lead to students having more time to study than ever before, which makes it a win-win situation for all parties involved. While it all comes down to personal preference, the majority of teens prefer taking their drivers ed course online. The state of California, unfortunately, does not provide an easy to access list of all online drivers ed courses available. You have a lot of options in California if you want to take your drivers ed class online, but listed below are the 4 best classes you can take. My advice is to check out each of the below online drivers ed reviews and simply go with whichever one you thing would be best for your specific needs. Aceable is one of the newer drivers ed options that folks will find, but they should not let that scare them off. The company is very reputable and has gained a ton of popularity over the few years since they launched. A big problem with online drivers ed courses in California is how outdated they’ve become. Aceable was recently built from the ground up and is the most modern course you can sign up for in California. Aceable is truly innovative as it allows students to learn from just about anywhere thanks to the company’s high-quality app. Many California online drivers ed programs claim to be mobile-friendly, but none of them can’t touch Aceable in this regard. The reason being, most online drivers ed course in California still require people to use a browser, even if they are on a smartphone. With Aceable, their downloadable app is fast and works far better than any other course. If you’re going ot use a tablet or smartphone to complete your training, trust me, Aceable is who you want to go with. If you want to learn more about Aceable, you can read more in my detailed review of Aceable here. DriversEd.com is by far one on the most affordable California online drivers ed options, as well as one of the most experienced courses you can sign up for. When compared to other programs it is consistently among the cheapest. It is an excellent value, especially for all of the resources that the student receives. Students have access to unlimited practice tests and other features to help them pass the written test on the first try. One of the best features on DriversEd.com are their interactive 3D animated videos. Students are presented with driving hazards and must make their own decision on how to handle that hazard. They also have interactive games that help students learn some of the more boring information such as roadsign meanings and the more mundane driving laws that are needed to pass the exam. 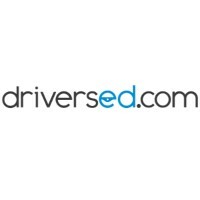 Another nice aspect of DriversEd.com is that they operate their own behind-the-wheel driver training with their own fleet of vehicles and instructors. You can usually get a really good package deal on both online drivers ed as well as behind-the-wheel instructor time, making this one of the best courses available. Having trouble deciding between these top two options? Check out this comparison of DriversEd.com vs. Aceable. Driver Ed To Go is another one of the best California online drivers ed courses for teens in California. It has a ton of experience in helping students achieve their goals of becoming licensed drivers as they’ve been in business since the late 1990s. Driver Ed To Go has taught over 4 million students to date. There are two really nice aspects of Driver Ed To Go that you should know about. First of all, this is one of the cheapest online drivers ed courses in California. However, it’s also a modern course as well. Just in the past year, they have made substantial updates to their course content. They’ve added brand new interactive videos and even games to help keep students interested. So, if you’re looking for a low-cost online drivers ed course in California that is still modern and consistently updated, Driver Ed To Go is a great option to consider. Improv Drivers Ed is one of the most unique California online drivers ed courses I’ve ever seen. Hollywood screenwriters and comedians from the Improv Comedy Club are behind the lessons here. There are hilarious videos that are sure to make you laugh and keep you entertained. They actually call it “edutainment”. In other words, they know that learning about driving laws can be boring, so they try to entertain students through humor as they learn, substantially increasing student retention rates. Success story after success story can be found through the organization’s reviews. Feel free to check them out and see for yourself why over 3-million people have made this place their school of choice. Event though this is a comedy based drivers ed course, Improv Drivers Ed doesn’t joke around when it comes to their course material and customer service. Just like any high-quality online drivers ed course in California, they keep their material updated, it works on mobile devices, and they provide good customer service. You can go at your own pace with this course as they keep track of your progress. Improv Drivers Ed is the best online drivers ed course in California for those who have short attention spans and get bored easily. There are several things parents should do before enrolling a teenager in any of the California online drivers ed programs. Perhaps, the most significant item is making sure California approves the course. Failing to do this could very well turn the ordeal into a waste of time and money as the completed coursework won’t count toward the state’s requirements. Plus, it is a good idea to look at the institutions thoroughly to make sure they are legit and not scams. If you stick with one of the online drivers ed courses I reviewed above, you’ll be in good shape.